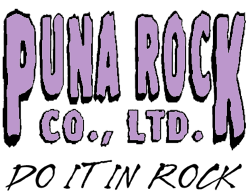 Puna Rock Company in Keaau, Hawaii, is your first choice for high-quality rocks and gravel. Don't ruin your hardscaping project before it begins by choosing weak, low-quality rocks and gravel. For a sturdier project involving rocks and gravel, you need our products. We provide customers throughout Hilo with durable rocks and gravel products that can be used for all types of hardscaping projects. Whether you are laying down a new driveway or adding a walkway to your property, our quality rocks and gravel will result in a higher grade finish. Feel free to call or email us anytime to discuss the appropriate rocks and gravel for your specific project.